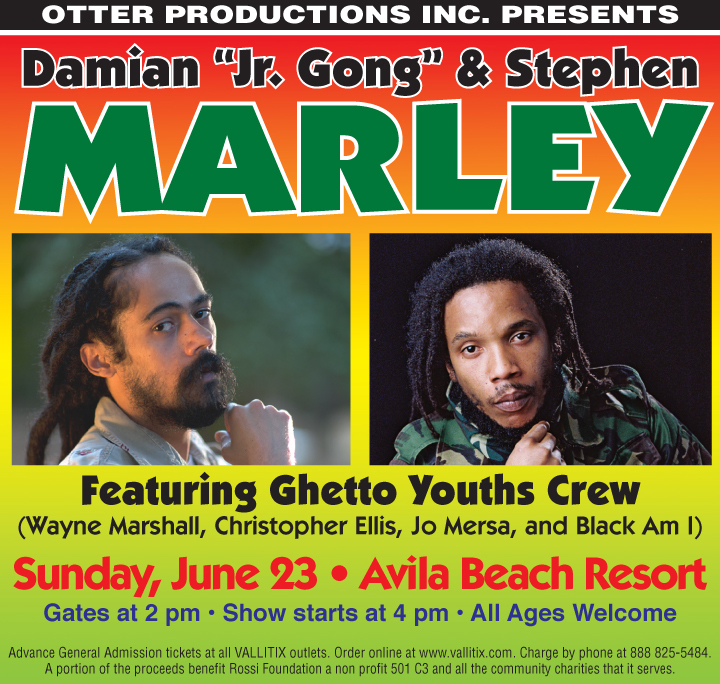 Damian "Jr Gong" Marley & Stephen Marley featuring Ghetto Youths Crew - Otter Productions Inc. | Otter Productions Inc. Damian "Jr Gong" Marley & Stephen Marley featuring Ghetto Youths Crew - Otter Productions Inc.
Damian “Jr Gong” Marley & Stephen Marley featuring Ghetto Youths Crew, with special guests The Green, coming to the Avila Beach Resort. Advance General Admission tickets are on sale now at all VALLITIX outlets. All Ages. Rain or Shine.